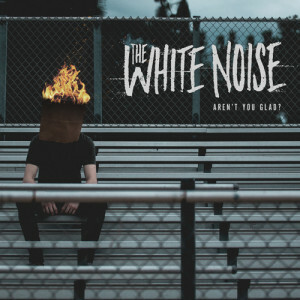 The White Noise – Aren’t You Glad? Home » Album Reviews » The White Noise – Aren’t You Glad? The first time I heard The White Noise was through a friend, and I instantly fell in love after hearing just their debut song. 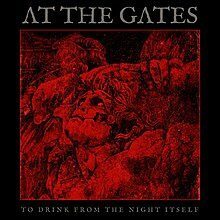 There was something about the mixture of hard and clean vocals, the in-your-face attitude, and the instruments played so hard they surely had to be broken after each track, that I couldn’t get enough of. Hailing from L.A., The White Noise [ Shawn Walker (vocals), David Southern (guitar, vocals), Josh Strock (guitar), Bailey Crego (bass), and Tommy West (drums) ] have put out the EP that you and your friends have always said you would. 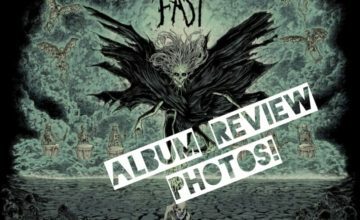 A collection of gritty, fast paced, cathartic songs that will leave you breathless like a punch in the mouth. The album kicks off with The Doctor Will See You Now, a lovesick ballad that lulls you in, then sucker punches you as it shifts into high gear. This is the perfect song to start the EP, followed by the first single, Bloom, the song that pulled me in. It’s a combination of pop and metal, and with old school guitar riffs thrown in for good measure. If Doctor was a sucker punch, then Red Eye Lids is a flurry of hay-makers. The song comes on hard and fast, like a house party in full effect. The drums alone create an insatiable urge to get up and dance. Closing out the EP, Cosmopolitican, is the knockout punch. With heavy hitting lyrics “We’re counting dollars while you’re counting lives” and “I am the God damned American dream” the song shifts back into high gear and leaves you craving more. Short, fast, and loud – Aren’t You Glad? will have you thrashing about in no time. 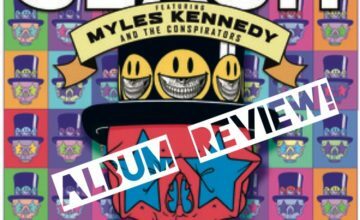 The EP is a mix of aggressive rock and punk, with a healthy dash of pop for good measure. You find yourself singing along with Walker’s vocals by the end of each song and beyond, as each one gets stuck in your head. The White Noise are like those new a-hole neighbors that move next door playing their loud music and throwing wild parties, except in this case you can’t help but join in.